1) Malawi is being deforested and Bright Vision is trying to help reforest. This month we'll be distributing 1000 trees (blue gum and acacia) to people in Chamadenga village, and providing a training for the planting and care of those trees. 2) Richard's mother died just after he was born. 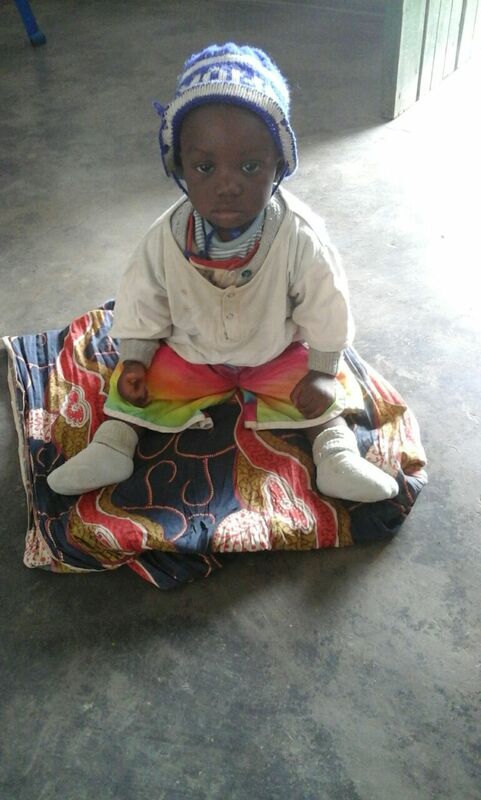 His grandmother came to Bright Vision to ask for help because they could not afford to buy formula. We've been able to help Richard for the past 6 months and he is now transitioning to solid foods. Our signpost got a face-lift last week. It went from white on green to green on white. 3) Students from African Bible College continue to minister at Bright Vision. Sam, George, Nyengo and Eneless meet with groups of kids and youth to teach from the Bible and answer questions about life. 4) Our Feeding Program is serving hundreds of kids twice a week. This is Malawi's hungry season and these meals of nsima and beans are a huge help to children and their families. 5) Our annual Christmas celebration drew about 1000 people from the village and surrounding area. This has been sponsored by the children of Evergreen Baptist Church- San Gabriel Valley for the past several years. It is a treat for people in the village to havea special meal of rice and beef. This year we had the Nursery Choir from a local church performing, and one of our seniors from African Bible College, George Zgambo (also the goalie on the ABC soccer team), preaching a Christmas message.